Over come the absorption problem for Lutein, Zeaxanthin and 22 other nutrients..
With the modern diet and especially as we get older, the human eye requires more nutrition every day to sustain itself than even the human heart and n a few minutes of reduced blood flow will cause deterioration in eyesight. Presently we are witnessing a breakthrough in helping to prevent vision loss. 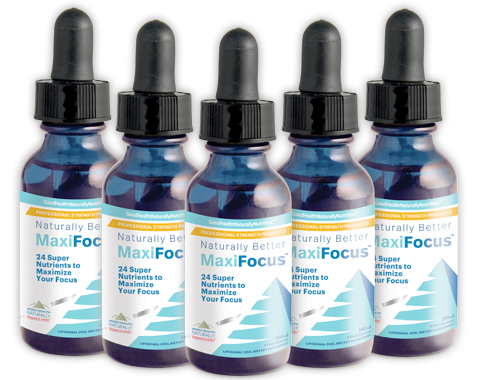 MaxiFocus™ is the ONLY sublingual formula delivering this complete spectrum of eye nutrients. These nutrients absorb at least 900% better than their tablet equivalent and in most cases will be in the eye within 2 MINUTES. What is it MaxiFocus® Eye Health Nutrition? The Most Widely Effective Nutritional supplement Delivery System! This combination makes it ideal for use where serious eye health issues require a proven scientifically researched product. As well as the finest formulation available it is also the best value for money delivering the tablet equivalent of 100mg of Lutein for those requiring the essential benefits for a long term eye health support. MaxiFocus® – delivers the highest amount of nutrients for the lowest cost, when compared to any other supplement on the market. 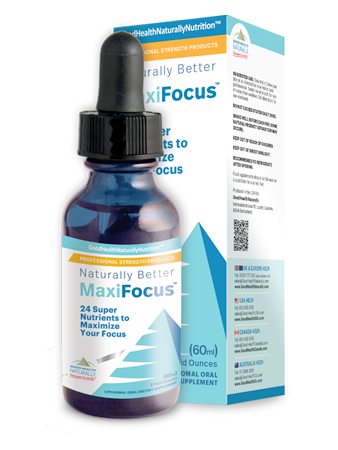 MaxiFocus® – is perfect for those with digestive tract dysfunction, as well as the elderly, who have been shown in studies to have a poor digestive absorption problems. MaxiFocus® – users report benefits within a few weeks and months and the results are beyond the expectations of most users. 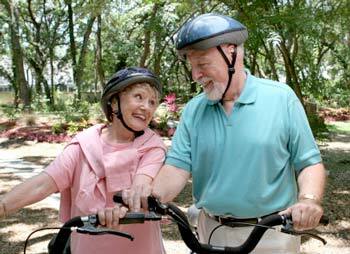 MaxiFocus® – may help users to maintain independence and allow them to live a better life. Many have described their results as miraculous after 2-4 months of use. MaxiFocus® – has demonstrated benefits for most issues effecting eye health. Safe – No known side effects or Interactions with drugs and safe in pregnancy, breastfeeding. Malnourished or Aging Macular is a condition that can normally affect you as you get older. In fact, although it is the leading cause of sight loss in the over 50’s, it is now appearing in much younger people (some as young as 20 years of age). It is basically caused by the huge amount of free radical damage inflicted by sunlight, wrong foods, toxins and the lack of nutrients reaching the macular to protect it from this free radical damage. The two specific nutrients responsible for protecting the macular are Lutein (loo-teen) and Zeaxanthin (zeeah-zan-thin). These Caroteniods are powerful antioxidants that are known to be missing in the eyes of sufferers. Malnourished Macular affects the small part of the eye responsible for the central vision, that allows you to see detail and colours. Aging Macular usually starts in one eye and is highly likely to affect the other at a later stage. What causes a Malnourished Macular (and the other eye diseases)? Smoking and other toxic over-loads (drugs, alcohol, saturated fats etc). Generally, those who suffer poor health (as a result of nutritional problems) will eventually suffer some form of eye disease (as with diabetics). Malnourished or Aging Macular is a condition that can normally affect you as you get older. In fact, although it is the leading cause of sight loss in the over 50’s, it is now appearing in much younger people (some as young as 20 years of age). It is basically caused by the huge amount of free radical damage inflicted by sunlight, wrong foods, toxins and the lack of nutrients reaching the macular to protect it from this free radical damage. The two specific nutrients responsible for protecting the macular are Lutein (loo-teen) and Zeaxanthin (zeeah-zan-thin). These Caroteniods are powerful antioxidants that are known to be missing in the eyes of sufferers. How does an Malnourished Macular affect vision? Look through your reading glasses or bifocals. Cover the left eye. 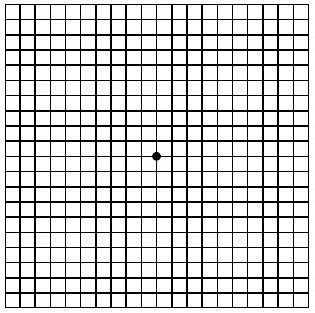 While looking at the centre dot from a distance of 12 inches or so, answer the following questions: Can you see all four corners of the grid? Are any of the lines blurry, wavy, distorted, bent, grey, or missing? These are considered to be the most critical for eye health and it is essential to know more about them. Lutein is not made in the body. Lutein and Zeaxanthin are found in most fruit and vegetables, and in super quantities in some vegetables. It is well worth including these super veggies in your everyday diet, especially in soups, stir-fry, oven roast veggies and salads. This is critical to stop and reverse your eye disease. Lutein and Zeaxanthin – found in vegetables – are the only Carotenoid pigments found in the macular. This may explain why Lutein works as an antioxidant in the eye to help protect it from sun damage. Lutein and Zeaxanthin probably act as a natural filter for blue light, which is very toxic to the retina. Ongoing research also indicates that Lutein may inhibit the development of cataracts, a disease from which (according to the LIB) more than half of all Americans suffer. Harvard researchers found that, among the 77,000 women who participated in its Nurses’ Health Study, those with the highest intake of foods rich in Lutein and Zeaxanthin were 22 percent less likely to develop cataracts than women with the lowest intake. As well as protecting your eyes, Lutein can provide protection from Heart Disease. Lutein is in fact one of the top five nutritional products to help protect you from Heart Disease and Eye Disease, particularly Malnourished Macular. 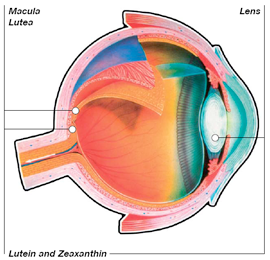 Just 6mg of Lutein daily could reduce the incidence of Macular Degeneration by as much as 43%. In the vascular system, Lutein is found in HDL, or ‘good’ cholesterol, and may prevent LDL or ‘bad’ cholesterol from accelerating, which sets the cascade for Heart Disease. Whilst most of the research on Lutein looks at its benefits for the eyes and heart. University of Michigan researchers, for example, found that Lutein was the most predominant Carotenoid in the cervix of the healthy women they studied. Lutein, they discovered, is rapidly metabolised in the cervix of women. Like the macula and lens of the eye, a woman’s cervix undergoes a lot of oxidative stress, which changes not only vital cells but also DNA itself! A leading ophthalmic surgeon in the USA, believes Lutein and micro-current stimulation can actually reverse the damage in people who have lost most of their sight. He says, “We have a number of examples of patients who were forced to give up driving because of their Macular Degeneration, but who can now drive again”. A research scientist, who had lost her sight as a result of Retinitis Pigmentosa (a genetic condition), regained her vision after taking Lutein supplementation and using micro-current stimulation. She says, “It is not perfect – a little foggy – but I can get around now, whereas before I could not see a thing”. “We have been treating people with retinal disease in this office for two years now, and have just analysed the results from the first 120 patients that we treated. The results have been quite gratifying. One surprise that we find in analysing the data is how well the people with the wet form of aged-related macular degeneration have responded”. STOP YOUR MALNOURISHED MACULAR NOW!